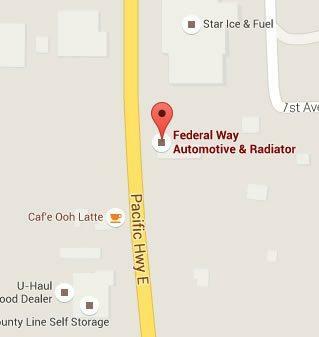 Federal Way Automotive & Radiator offers customers a comprehensive 22-point inspection of your radiator. Your radiator handles the transfer of heat from the car’s engine. When it is not kept clean and operating well your vehicle can overheat, causing serious—and sometime irreparable—damage to the engine. We offer radiator repair near Edgewood that keeps your automobile’s engine running at a proper temperature, keeping it safe from the damage caused by overheating. Ask us about our deal on a cooling system flush! A flush does much more than just drain the antifreeze from the radiator, it removes contaminants which would otherwise stay stuck in the radiator while also lubricating the water pump. Getting a radiator flush once a year is generally the suggested time-frame for most vehicles unless otherwise stated in your owner’s manual. This, along with our complete inspection of your radiator and cooling system, removes grime, improves your car’s efficiency, and protects and extends the life of your water pump. 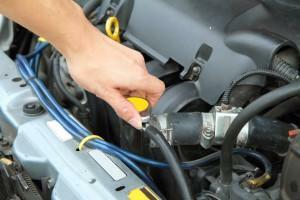 Leaking radiator fluid – Radiator fluid is a greenish color. If you see it pooling under the spot where park, you should come in for radiator repair. We will locate the source of the leak and replace the hose or seal causing the problem. Heating too quickly – Cars naturally warm up as they drive, however, if you notice the heat gauge on your car increases quickly after starting it, it is a warning sign that there is a problem with your radiator. Overheating – Any time you see your heat needle getting near the red warning zone, it is an immediate signal that you need to get the car in for radiator repair. If you are not close to our shop, pull the car over and let it cool before driving any further. It is a good idea to have the vehicle towed in for service at that point. Steam from under the hood – Like seeing the needle in the red-zone, this is a warning that needs to be taken seriously and requires you to stop the car as soon as it is safe. You should not drive, but have the vehicle towed, if you see steam coming from under the hood. In this case, the car is already overheated and needs to cool down before more damage occurs. We carefully hand-select our ASE certified master technicians. 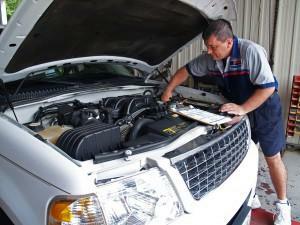 Each has expertise in radiator inspection, service, and repair for any make or model vehicle. When you come to us we guarantee our services, so you can feel completely confident your car is getting the best possible service. We strive to keep our costs affordable and we offer friendly, informative customer care. Call today to find out what specials we are running on radiator repair near Edgewood.